Lightweight running shoes made in a mix of knit and neoprene. Ideal for a 10K run, these shoes are designed to deliver superior cushioning and stability. 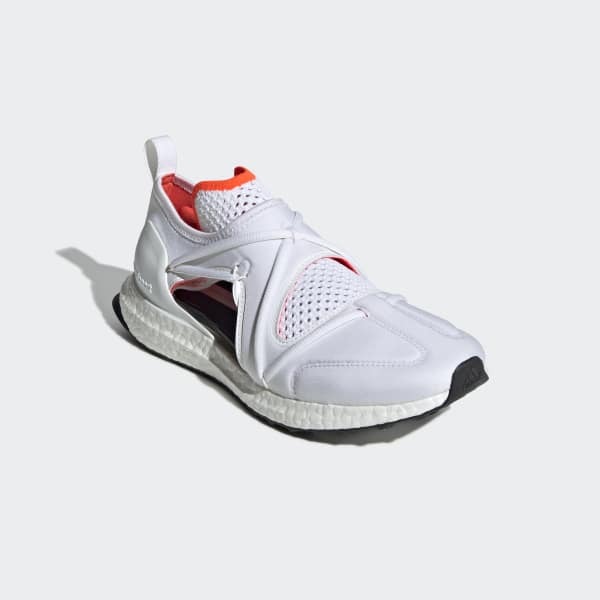 Inspired by a running sandal concept and designed in partnership with Stella McCartney, the sneakers are engineered with a lightweight adidas Primeknit textile upper. A sock-like fit locks in the foot for secure strides. The convenient drawcord lacing system lets you adjust your fit so you stay focused and distraction-free. 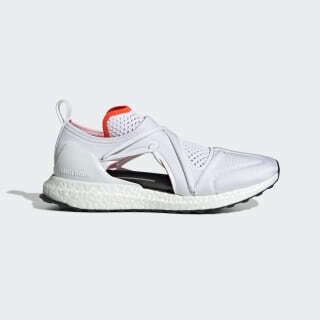 Each step is charged with energy-returning Boost cushioning.